SECURE A SPOT BY REGISTERING TODAY! Would you like your child to S.O.A.R.? Is your child looking for an exciting summer to remember? Keeps them busy and engaged! Gives YOU the convenience and comfort that your children are having a SAFE & PRODUCTIVE TIME while YOU are at work! Teaches your children how to defend themselves against the ever increasing threat of bullying! Teaches them two of the FASTEST growing SPORTS in the WORLD. (Brazilian Jiu-Jitsu & Mixed Martial Arts) in the most admirable and respectable manner possible! Teaches your children about GOOD CONDUCT and VALUES such as Respect, Self-Control, Self-Discipline, Perseverance, Loyalty, Courage, Honor, Patience, Kindness and MORE! We are excited to announce that Ascend will be offering Camp Soar for rising kindergarten through third graders. Camp Soar will be co-taught by an experienced early childhood teacher and our talented Jiu-Jitsu instructors. Throughout the day, your child will have the opportunity to tackle hands-on S.T.E.A.M. challenges focused around weekly themes, as well as play a variety of martial arts games. Our learning center will transform each week as we soar through adventures together! Campers will take to the seas during this exciting first week of camp! We will use our imaginations to explore life out on the sea. Our daily challenges will include creating our own boats, following maps, and exploring the depths of the oceans. Campers will bring the heat inside during this fun filled week of camp. We will complete a variety of STEAM challenges to see what life in the desert is really like. *July 4th week will be discounted by 20%. Campers will go back in time, imagining life in the time of dinosaurs. We will build off of children’s fascination with dinosaurs as we dig for fossils, create our own dinos, and explore just how big these creatures were. Week 4: July 15- July 19 Blast Off! Campers will blast off into space and into learning. Together, we will explore the solar systems, creating our own constellations, rockets, planets, and more! Campers will spend the week learning about the fascinating rainforest. We will investigate the many animals that spend their lives in the forest, and what they must do to survive. Campers will work together everyday on our “camping” trips. We will pitch tents, make s’mores, tell campfire stories, and so much more on this fun filled final week of camp. Each day will begin together during our morning huddle. Together, we will explore team building games, set our intentions for the day, and practice specific and targeted social skills. We will incorporate stories and songs to set our purpose for learning, and expand young learners intrinsic excitement for learning. We will end the day coming back together to review the wonderful day we have had together. The songs and stories shared during morning huddle will provide the springboard for our S.T.E.A.M. activities. Daily science and engineering challenges will help your child become a well rounded citizens, able to think creatively, and problem solve through difficult tasks. Our skilled instructor will provide structure and guidance to help your child develop their confidence as they take risks to try out new ideas. Daily challenges will not only incorporate science, technology, engineering and math concepts, but also integrate the arts in order to help children think creatively and follow their natural curiosity as learners. 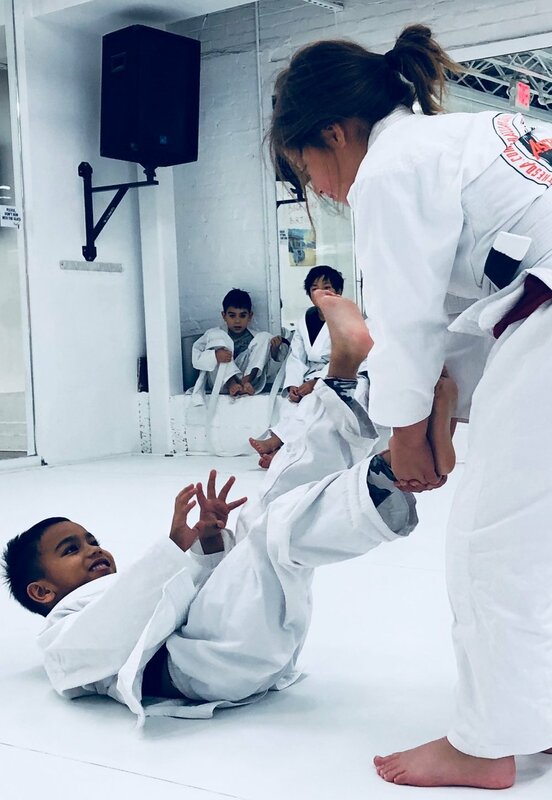 Whether your child is brand new to martial arts, or has years of practice under their belt, our experienced martial arts instructors will help your child learn discipline, self control, and respect, through Brazilian Jiu-Jitsu, kickboxing and wrestling principles. Campers will have two martial arts sessions each day, incorporating direct instruction, as well as a variety of games. Refunds may be issued, less a 25.00 administration fee if you withdraw at least 30 days prior to the start of camp. Any withdraws less then 30 days prior to the start of camp are subject to a 50.00 administrative fee. All refund request must be made in writing to Uriel@AscendBethesda.com, and must be received before 9:00 am on the second day of camp. You can enroll multiple children from the link below. You will need to complete one package per child. COMPLETE YOUR CAMP PACKAGE RIGHT HERE! I am thrilled to kick off a fantastic summer with Camp SOAR. I am an experienced early childhood teacher in a local Maryland elementary school and have taught preschool special education, kindergarten, and first grade over my eight years as a teacher. I have a B.A. in Early Childhood Education from Lesley University, an M.S. in Early Childhood Special Education from Johns Hopkins University and a postgraduate certificate in Equity and Excellence in Education from McDaniel College. My varied experiences as a teacher, as well as more than 15 years working at local camps, will ensure that your child will have a fabulous summer experience at SOAR. I can’t wait to meet them!